These upscale and fashionable townhomes are just what you dreamed of owning one day. This is a rare find. Ten luxury residences will be offered with 3 & 4 level floor plans ranging from 2003 to 2246 square feet. 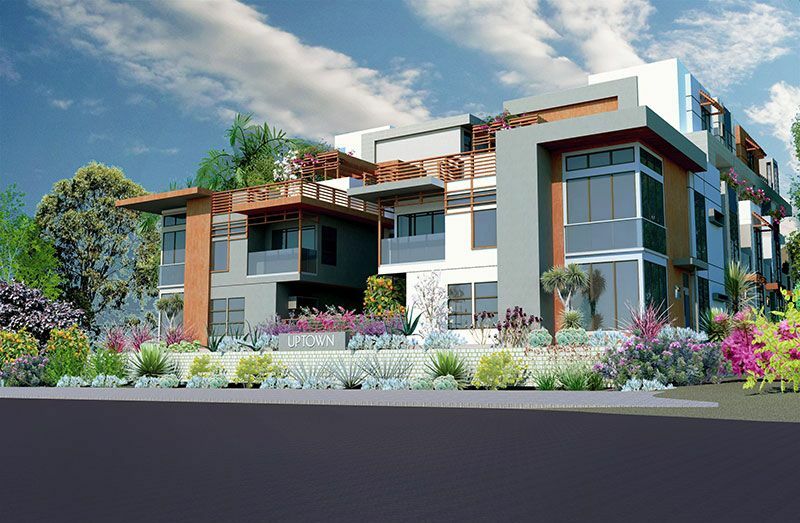 Both 2 & 3 bedrooms will be available with up to 3 baths, roof decks and 2 and 3-car garages. Eight of these magnificent, contemporary units will have their own private elevators! The Uptown neighborhood of San Diego is trendy and in high demand. Perfectly situated between downtown San Diego, Old Town, Mission Hills and Hillcrest, this ideal location has many conveniences, great restaurants, shopping and entertainment close by. You can ride your bike to Balboa Park, walk to downtown Hillcrest or Whole Foods Market. The homes have easy access to freeways 163, 8 and I-5 to get you anywhere in San Diego County and beyond.